Home » Faces of Boulder » Meet Matt and Zach! Meet Matt (left) and Zach (right)! 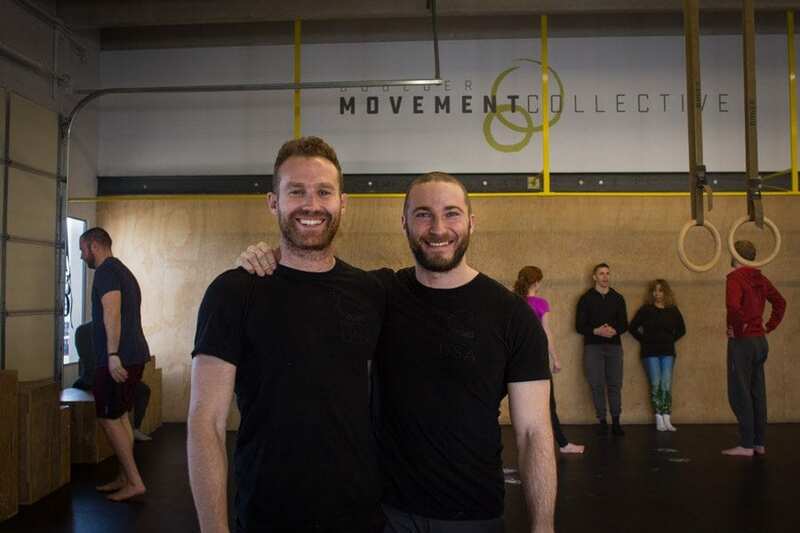 The two owners and operators of the Movement Collective in Boulder.The Movement Collective is an athletic training facility that doesn’t have a specific focus, such as weight training, or jiu-jitsu but instead, puts its emphasis on the greater task at hand, movement. The Movement Collective spawns from the teachings of Ido Portal. For those of you unfamiliar with who Ido Portal is, he is an Israeli man who, in his quest for pinnacle fitness, found that there was something lost in translation between all of the specific movement training that was being done around the world. So, Ido set out to become a student of all disciplines and his goal was to have a greater understanding of his body and how it moves. 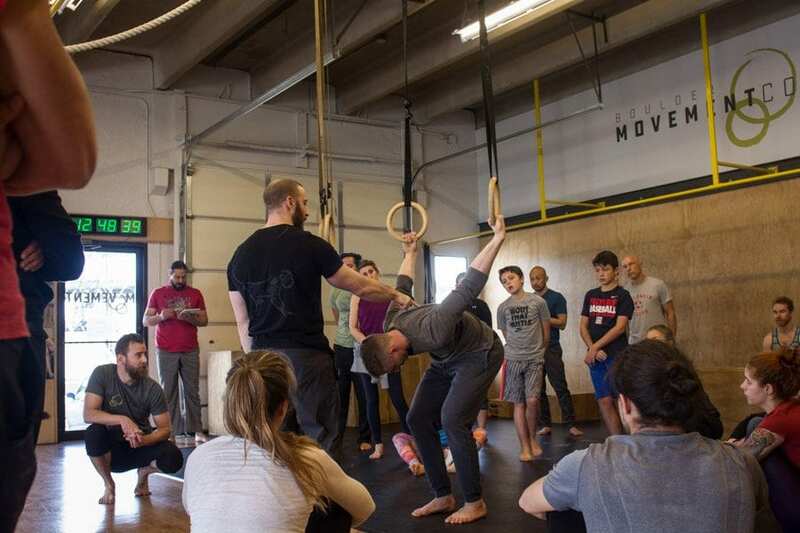 After speaking with everyone from Osteopaths and MD’s to circus performers and professional fighters, Ido began to grasp the importance of movement for your body and seeks to share that information with athletes everywhere. The goal of Ido Portal’s movement training is to, “create a cross-disciplinary exchange of info between various types of movers.” And Matt and Zach are doing their part here in Boulder to spread the teachings of Ido Portal. Both Matt and Zach are students of the Ido Portal Mentorship program but with the amount of knowledge these two have about movement, it’s hard to consider them “students” of the discipline. 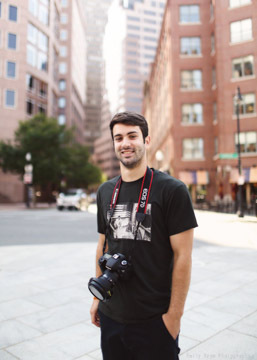 Matt is a Brooklyn native, who began his movement teaching back on the East Coast working with Broadway performers and Tony Award winning actors before moving west to Colorado. Zach hails from the Pacific North West and has always been a gym guy, but after his experience combining Crossfit and movement training in the Seattle area, his passion for movement blossomed. The classes at movement collectively focus on strength and mobility and strive to develop “movement intelligence” through martial arts, aerobics, dancing, and gymnastics. Be sure to check the Movement Collective. These two are cool, funny guys that are extremely knowledgeable about the human body and eager to share their knowledge with the community. Movement Collective Boulder offers individual classes or a “starter pack” for those who are interested in getting their feet wet and they also offer monthly memberships for athletes serious about training. Stop by on February 17 for the 2 year anniversary party of the Movement Collective Boulder and to welcome a knew teacher to the Boulder Movement Community!